READER’S EDITORIAL: PRESIDENT OBAMA, IF TPP IS GOOD FOR HARD WORKING MEN AND WOMEN, WHY CAN’T WE READ IT? Mickey Kasparian, President of United Food and Commercial Workers (UFCW) Local 135 released the following statement after President Obama’s local news interview regarding Fast Track Authority for the Trans-Pacific Partnership (TPP). 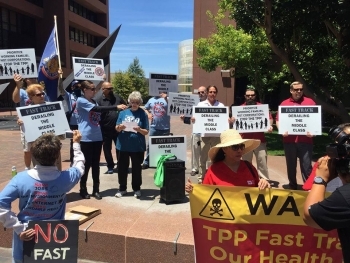 June 7, 2015 (San Diego) --Instead of talking into a satellite camera, President Obama should listen to the hard-working families of California who overwhelmingly oppose fast track. He says that the Trans Pacific Partnership (TPP) is different than past trade agreements that failed a majority of Americans, but thanks to leaked drafts and a negotiation process that included 600 corporate lawyers, it’s apparent that this deal will be a disaster for everyone but the wealthiest corporations. 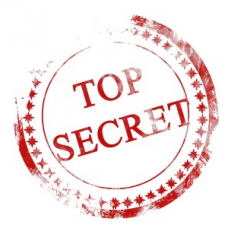 The level of secrecy that surrounds TPP is deeply troubling. If this deal is truly good for hard-working men and women, then why can’t we read it? If the President believes this is a great deal, why can’t he prove it to us? American workers deserve to see the uncensored truth of this agreement. Read more about READER’S EDITORIAL: PRESIDENT OBAMA, IF TPP IS GOOD FOR HARD WORKING MEN AND WOMEN, WHY CAN’T WE READ IT?